BDI-BioEnergy International announced it has signed a contract with Bakersfield, Calif.-based biodiesel producer Crimson Renewable Energy LP to increase plant capacity to 75,000 tons (22.5 million gallons) per year and modernize its process. In celebration of National Bioenergy Day, ATP-SC LLC and Midlands Biofuels jointly announced an innovative collaboration to grow biocrops, produce, sell and utilize solid and liquid biofuels, and to expand South Carolina's bioeconomy. Divers and crew aboard Aqua Adventures Maui are no longer breathing petroleum exhaust when they begin their diving experience from the swim step of the vessel. The company has switched from fossil fuel to 100 percent locally produced biodiesel. For the past eight years, Asheville attorney Lakota Denton has been powering his vehicle with biodiesel from Blue Ridge Biofuels. 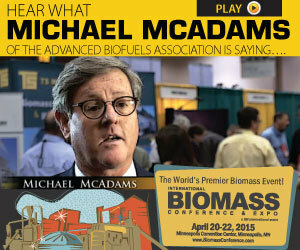 He's passionate about biodiesel because it supports local business while reducing emissions and his carbon footprint. Citizens for Responsibility and Ethics in Washington is suing the U.S. EPA for failing to provide documents regarding oil industry efforts to influence the 2014 renewable fuel standard (RFS). The government of India's Department of Biotechnology, Indian corporate leaders and Washington University in St. Louis has invested $2.5 million to launch the Indo-U.S. Advanced Bioenergy Consortium for Second Generation Biofuels.